Baroness Greenfield is former Director of the Royal Institution of Great Britain (the first woman to hold that position) and Professor of Pharmacology at the University of Oxford, where she leads a multi-disciplinary team investigating neurodegenerative disorders. In addition she is Director of the Oxford Centre for the Science of the Mind, exploring the physical basis of consciousness. Her books include “The Human Brain: A Guided Tour” (1997), “The Private Life of the Brain” (2000), and “Tomorrow’s People: How 21st Century Technology Is Changing the Way We Think and Feel” (2003) and “‘ID’ - The Quest for Identity in the 21st Century” published in May 2008 by Hodder Publishing. She has spun off four companies from her research, made a diverse contribution to print and broadcast media, and led a Government report on “Women In Science”. She has received 30 Honorary Degrees from British and foreign universities, including Honorary Fellowship of the Royal College of Physicians (2000), a non-political Life Peerage (2001) as well as the Ordre National de la Legion d’Honneur (2003). In 2006 she was installed as Chancellor of Heriot-Watt University and voted `Honorary Australian of the Year’. In 2007 she was made a Fellow of the Royal Society of Edinburgh. In 2011, Susan joined the Advisory Board of the Kusuma School of Biological Sciences at the Indian Institute for Technology, Delhi. In 2012, Susan was offered the Honorary Fellowship of the Institute of Risk Management and also became a Vice Patron of POWER International. Later in 2012, she was selected to serve as the Parliamentary Patron of the Westminster Higher Education Forum, alongside of continuing to be a Parliamentary Patron of the Westminster Education Forum. Susan is also Governor of The Florey Institute for Neuroscience and Mental Health and supports the IAB (the International Advisory Board). 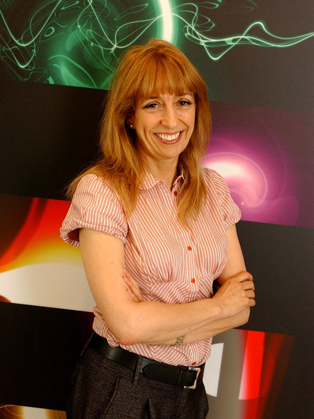 Susan Greenfield is an outstanding keynote speaker on creativity and leadership, human behaviour, science and the future.